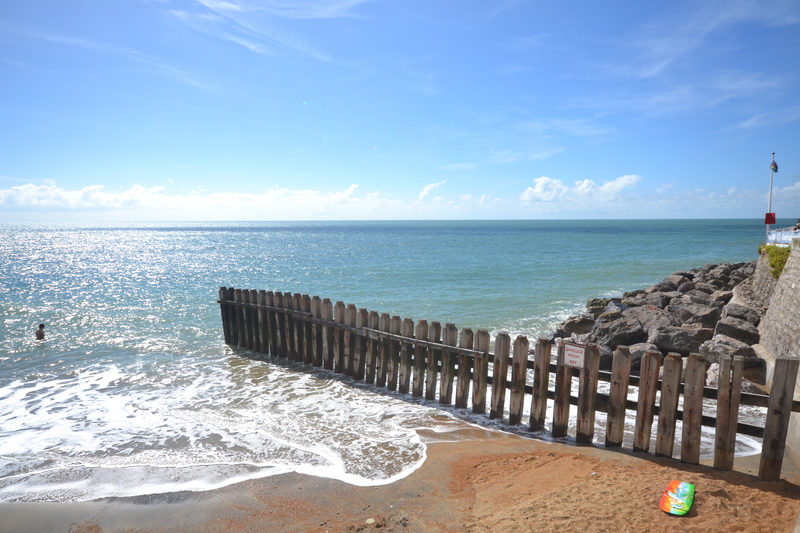 Brading Sea Wall – Located at the end of Quay Lane in Brading (adjacent to the church) is this scenic walk that takes you along the old sea wall that used to protect the marshland from the bustling harbour that was a thriving port in this area up to the 19th century. If you follow the path along the marsh and the woodland area you will end up at Bembridge Windmill. But even if you don’t get that far this scenic walk is worth discovering. Rylstone Gardens Shanklin – Walk alongside the Crab Inn, pass the Chine entrance and up the hill and steps, turning left, you will find this hidden away, pretty and peaceful park. Look towards the cliff side of the park and you will discover some (steep) wooden steps that lead down to the beach (only for the able). Appley Tower and Beach – A flat walk from the Esplanade in Ryde passing the boating lake along a wide pathway adjacent to the beach, with woodland to the right. this popular walk ends up in Seaview if you are feeling particularly energetic. Along the route there is a cafe & restaurant, children’s play park and extremely photogenic scenery. Newtown National Nature Reserve & Old Town Hall – With salt marshes, woodland and an abundance of birds and wildlife this is the only national reserve on the Island and it should be top of the list for an evening stroll or even a full day with the children. Plenty to see and do here for those young adventurers. Ventnor Seafront to Bonchurch – If you find yourselves on Ventnor seafront then turn left (East) and walk along this flat revetment all the way to Bonchurch shore. Along this lovely walk you will have a low cliff to the left and the sea to the right. Ideal those just wanting a flat evening stroll after dinner and a few drinks! Colwell Bay – Colwell Bay is situated in between The Needles and lighthouse and the port of Yarmouth. With views across the Solent to Hurst Castle and Fort Albert, Colwell Bay is popular with families, holidaymakers, and locals alike. There is a cafe, restaurant and beach bar here so it’s the perfect sunset destination. Do get in touch with Sharon and the team in our Shanklin office if you would like more information on any of our holiday properties or to find out more about the beautiful Isle of Wight.